I know, I hear your cries. 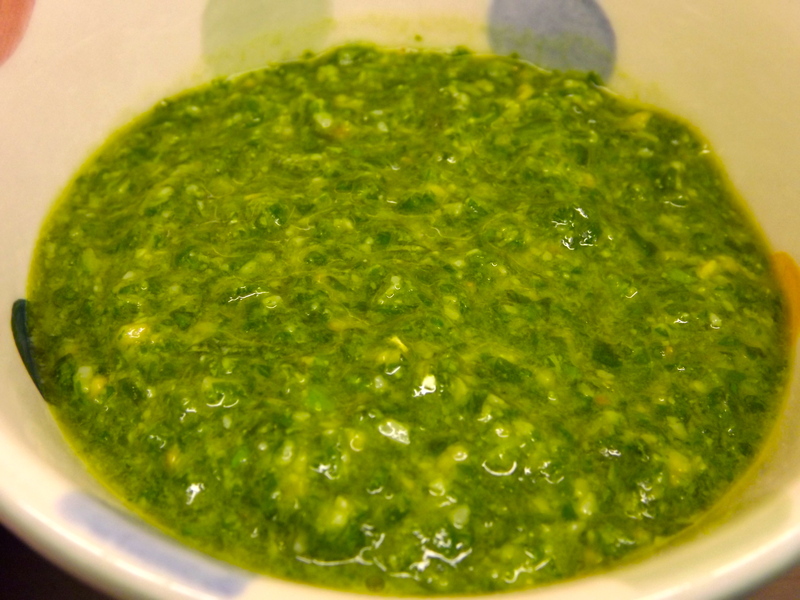 Pesto Schmesto. I make that all the time. Well, I don’t. I tried it once before, forgot to secure the lid on the liquidiser and had bloody pesto EVERYWHERE. Over the ceiling, the worktops, the carpet (yes, IN the kitchen – it was my first flat) and pesto all over me. It’s a bugger to clean up and very easy to buy in a jar, so since then I have never tried. Until now. I bought a tub from M&S and thought…hang on a minute, surely I could give it a go….again. So, I researched recipes and OMG are there lots! Salt, no salt. Garlic, no garlic. Parmesan, Pecorino. Extra virgin olive oil, or normal? 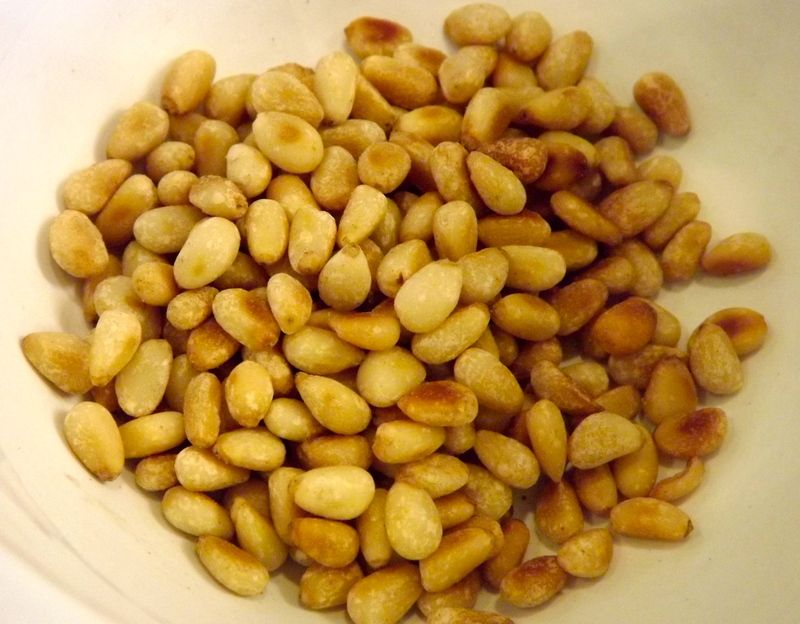 First of all you need to lightly toast the pine nuts in a dry pan and leave them to cool. Now, I was supposed to crush everything up in a mortar and pestle, but I gave up within 2 minutes and switched to the food processor. Sorry. Pop it into a jar and drizzle a little oil over the top to seal. It should keep in the fridge for up to 6 months. Well, mine tasted like it needed more salt. Perhaps because half the cheese was meant to be pecorino and I didn’t have any. Well, my Tesco local didn’t sell any. So, I added a couple of pinches more and it was better. BUT still not as good as the pot I bought from M&S. Also, next time I would use regular olive oil rather than extra vrigin as the taste was strong. So, when I have harvested a bucket load more basil I will try a variation. However, it is perfectly nice and will be scoffed on some beautiful, home-made pasta BUT it could be better. But, hey. If this blog was all about how marvellous I am at cooking…well, it would be a big fat lie. I am ‘adequate’ at cooking, but trying to get better. That’s what this blog’s about. Share and share alike. On that note, if anyone has any pearls of wisdom or better recipes, PLEASE post in the comments or email me. I would be very grateful for any tips and happy to credit you, of course! Oven-dried Tomatoes How do I make….Meringue?